I can still picture it: sitting on the roof of a hotel in Rishikesh overlooking the Ganges snaking by below as the sun sets behind the foothills of the Himalayas. I am sitting with my guitar, a purple imitation Fender I bought in a music shop in Jaipur several weeks prior, and I am playing and singing. Gazing down at the blue-green waters, I must have played a dozen songs while the sun set and dusk settled over the landscape. But the only song I clearly remember singing is â€œBallerina.â€� It's the penultimate song on Van Morrison's 1968 album Astral Weeks, and one of the few musical constants in my life. At many profound moments of my life, I have turned to the sonic world painted by Van Morrison and the group of musicians that created it. I discovered Astral Weeks as a teenager growing up in Nanaimo, BC, and it remains one of the few albums from that personal era that can still move me to tears. Many other records I listened to then retain a nostalgic value, but they fail to move me, and, most importantly, most of them are no longer relevant for the version of myself I currently inhabit. Astral Weeks, on the other hand, seems to move and change with me, offering a kind of musical companionship that I have found in few other recordings. Of course, I am not alone in admiring this record. Amongst many others, Bruce Springsteen, Bono, Elvis Costello, Joni Mitchell, Philip Seymour Hoffman and Martin Scorsese have quoted from it, praised it or cited it as an inspiration. You have to understand something...A lot of this...there was no choice. I was totally broke. So I didn't have time to sit around pondering or thinking all this through. It was just done on a basic pure survival level. I did what I had to do. The pragmatism imbued in this statement, and the overall approach to the album, has provided me with a perpetual source of inspiration. There is a special brand of admiration I hold for artists who, working within strict limitations, create something like Astral Weeks. These limitations need not hamper the creative process, but can rather enhance the ability to express within a narrow frame. That such beauty and sonic exploration resulted from what Morrison calls a â€œpure survival levelâ€� will always spurn my own artistic endeavours. It reminds me of the Zen Buddhist approach to sumi-e, the ink wash style of painting, where an artist takes time to prepare canvas, brush and ink, sits and meditates in order to clear his or her mind, and then, in a rapid burst of creative expression, paints. Similarly, Morrison once stated in an interview that many of the songs were written over a period of several years, only to be recorded in a matter of days. 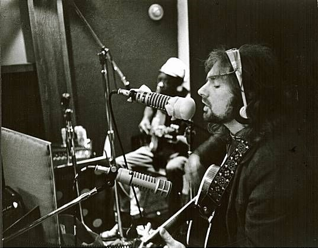 One of the few photographs from the Astral Weeks recording sessions. Besides being a scholar of popular music, I am also a musician and a writer. My musical trajectory has taken me down disparate pathways, but all of these roads share a love for improvisation and openness. Music of an improvisational nature has always held my attention. Not only is it the music I most love to create, it's also the music that excites me most, both in its live and recorded iterations. That being said, I am also fascinated with the craft of song writing, and find inspiration in the diversity of voices that can express themselves through the use of a few guitar chords and simple melodies. Being a writer and an avid reader (two things that nearly always seem to go together), I am drawn to lyrics of a poetic nature, favouring the ambiguous, the visionary, and the metaphoric realms. Within such lyrical worlds I can incorporate my own experiences, and the result is a feeling that these are, in a bizarre way, somehow partially my songs. As if, impossibly, I had a share in their creation. 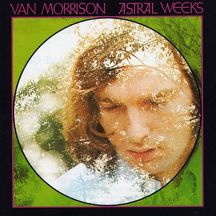 Astral Weeks is an album that combines poetic lyrics, improvisation, and, as far as I'm concerned, great song writing. The song arrangements are simple, but within these sonic structures the musicians and Morrison's inimitable voice glide, growl and soar. It's as if everyone involved were trying to take these simple chord structures and perceive them from every angle, turning chords and melodies inside out as if performing a kind of musical cubism. The result is an album made by a group of musicians searching together in sound, taking barely rehearsed songs and exploring possibilities within them. To my ears, what resulted from such experimentation is an evocative recording that continues to inspire me as a musician, an improviser, and a songwriter, acting like a kind of improvisational cognitive aide. I am inevitably attracted to any work of art that defies an easy explanation. Drawn to the vague and the ambiguous, I thrive in that space where no straightforward interpretation satisfies; where the artwork continually seems to withhold secrets that might reveal it in its entirety. I adore artworks that seem to simultaneously disclose and occlude something profound but just out of reach. Whether this is due to a quality of the artwork, or to some mixture of conjecture and delusion on my part, will likely remain equally mysterious. I place Astral Weeks in this category because its impressionistic natureâ€”both lyrically and musicallyâ€”provides that promise of some clandestine doorway forever hiding behind a hedge or around the next bend in the labyrinth. Van Morrison is singing about the fragmentary essence of memory, invoking a person-in-mosaic to appear among the raindrops and hallways of an Ireland that may or may not have existed. Like the short stories of Dylan Thomas, Morrison's songs provide blurry snapshots of mundane moments that nevertheless provide the setting and springboard into the sublime, the profound, and the infinite. When I finished my undergraduate degree I had no idea what to do with the rest of my life, so I bought a one-way ticket to India. I ended up in the foothills of the Himalayas, and there, on the other side of the world, far from the familiarity of home, I found solace in the chords and words of 'Ballerina'. It seems unlikely that Astral Weeks will cease to inspire, amaze, and mystify me. As for what it all means, I defer to legendary rock critic Lester Bangs, who once wrote that "you're in trouble anyway when you sit yourself down to explicate just exactly what a mystical document, which is exactly what Astral Weeks is, means" (Marcus, 1996). Whenever I put the record on I find that it has the power to send me kaleidoscopic images from my past. These images remind of the person that I was, giving me clues as to the person I may one day become. So when I see photographs of previous selves, like the one below, I cannot help but see myself as someone who, for better or worse, and never fully understanding why, is committed to continue venturing in the slipstream. A photograph of me in the Himalayas circa 2012. Josh Gleason. (28 February 2009). Van Morrison: 'Astral Weeks' Revisited [Radio Program]. Weekend Edition Saturday. Washington, DC: NPR. Greil Marcus, ed. (1996). Stranded: Rock and Roll for a Desert Island. New York: Da Capo Press, 178-187. Sean Steele is a PhD Candidate in the Humanities at York University (Toronto). He holds a diploma in music (jazz studies) from VIU (Vancouver Island University), a BA in Philosophy and History from Concordia University, and an MA in the Humanities from York. Sean explores intersections between art, religion and popular culture, with a focus on popular music subcultures as alternative spiritual communities. Sean is also a musician and a writer. He performs in the rock and roll band Zuffalo, and records his own music under the name Mareotis. His poetry has appeared in the Toronto literary publication Sewer Lid. To submit your own AutoMusicology, please email iaspmcanada@gmail.com. More information can be found here. In September of last year I turned thirty-five. Two days after my birthday, I saw the Smashing Pumpkins on their (partial) reunion tour of three-plus-hour sets of the hits, the favourites, the classics. I had low expectations heading into the show, having largely ignored the band for nearly two decades; my disinterest due to Billy Corganâ€™s insufferable public persona, which often eclipsed both the bandâ€™s ongoing output as well as the songs that were close to me during major formative years in the 1990s. But as Corgan took the stage to perform â€œDisarmâ€� on his own, up against a towering screen that displayed a selection of his childhood photos, I was overcome with emotion and nostalgia beyond that which Iâ€™d experienced at a concert at any time prior. The juxtaposition of young and old, flesh and image, was poignant as I had been thinking a lot about age and change in the weeks leading up to my birthday. Mellon Collie and the Infinite Sadness (1995) and Siamese Dream (1993) were absolutely influential on the years during which I first found autonomy and identity with the help of music. Over the years, my awareness of how important these albums were to me had waned but the live show brought it all back. As the band played through many songs off of these two albums, I was drawn not only to my own adolescence but to reflect on a first year as a parent, one unfolding through a young face, body, and personality that transforms notably each day (transformations I watched as a young Corgan aged on screen). What challenges and changes might my child face and what songs will be there to offer support? The Smashing Pumpkins had my full attention and for a few wonderful hours I moved between the past, present, and future in ways that only music seems to effectively facilitate. Years ago, I found it strange and misguided that Corgan placed blame on â€œthe Britneys of the worldâ€� for the Pumpkins breaking up (and, sure, I still do). His protest would be one of rockismâ€™s dying breaths as the turn of century brought a turn to poptimism. Still, another take might highlight the indispensability of youth when it comes to the sort of mass appeal and success that the Pumpkins enjoyed in the 90s. Perhaps the band was aging out of the ever sought after youth demographic of the culture industryâ€™s desire. If music is standardized and routinized for easy consumption does it also have an expiry date? In 2011 Corgan said: â€œThe Pumpkins wonâ€™t be a nostalgia act, we refuse to be. That would be the true death of the Smashing Pumpkins.â€� But here we are. When one is out of the spotlight, is there pleasure in giving in to nostalgia, in giving the fans those cherished songs that they know and love? Is a nostalgia tour more complicated than simply assuming the band is cashing in on their old catalogue rather than working to introduce and perform new songs? The prevalence of youth on the association of music and memory is all too common but certainly understandable. As Tia DeNora writes, music reminds us of who we were at a certain time and helps â€œto recapture the aesthetic agency [we] possessed...Reliving experience through music is also (re)constituting past experience; it is making manifest within memory what may have been latent or even absent the first timeâ€� (2006, 143). Andy Bennett questions the assumption that pop music is for the young, claiming, â€œWhere once rigid social divisions were drawn between adolescence, early adulthood, middle age, and later life, in late modernity such divisions are much less evident as the lifestyles of people at each of these stages of life become more similar.â€� He adds, â€œA further problem with popular representations of aging music audiences is the tendency to equate middle-aged music fandom with a nostalgic harking back to the time of oneâ€™s youthâ€� (2013, 14). In 1979 Billy Corgan was twelve years old, an age cemented in the bandâ€™s highest charting single, â€œ1979.â€� When I was twelve, I unwrapped my first double CD at Christmas: Mellon Collie and the Infinite Sadness. â€œ1979â€� is an exceptional song on its own but one made even better by its video, a text that introduced me to the idea of nostalgia before I was old enough to experience it myself. Relating the everyday lives of suburban teenagers passing the time, the camera grants us a variety of perspectives: close quarters at a crowded house party, a birdâ€™s eye view of the Dodge Charger that is essential for navigating this particular time and place, and an uncharacteristic smile on a close up of Corganâ€™s face. 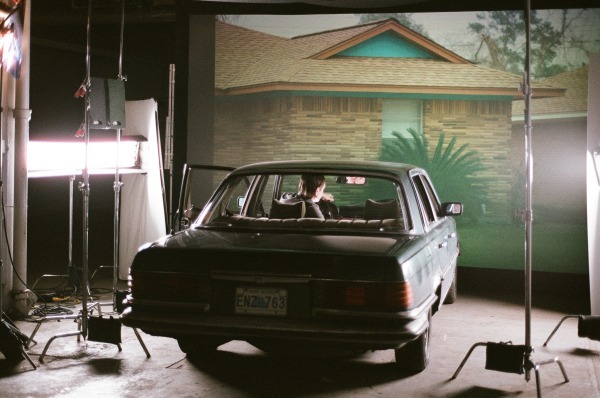 (Spike Jonze nearly directed the video but would later direct a very similar one steeped in suburb-centric-nostalgia with Arcade Fireâ€™s â€œThe Suburbs,â€� right down to band members playing as cops. Only with â€œThe Suburbs,â€� we move from the joyful aimlessness of â€œ1979â€� to a dystopian police state). The video for â€œ1979â€� taught me that music would accompany memorable moments, both good and bad, and that it would be a means for reliving the past. On the cusp of becoming a teenager, I felt the need to make the sort of memories that would be worthy of such a song. In a lot of mid-90s alternative rock I found angst and apathy but in the music of the Smashing Pumpkins I found escape. The video for â€œTonight, Tonightâ€� was a surreal dreamscape within which one could curl up and imagine new worlds yet to come. I felt less like answering the call to drop out (one posed by numerous grunge songs) but ready to opt in to something new, something that wasnâ€™t already evident. Music doesnâ€™t only accompany memories and enable us to to experience the past. It can soundtrack ideas about the type of reality one might wish to inhabit. As much as I have songs and albums that facilitate reflection, there are those I cherish for accompanying moments of becoming. Such songs can guide and advise affective moments and movements in our lives. Beyond finding value in the familiar there is value in feeling of something outside of the familiar. There is an assumption that we tend to rely on our already established tastes as we age out of the culture industryâ€™s most coveted youth demographic. Take, for example, the claim that people stop listening to new music at the age of thirty-three (one based on streaming music data and one arguably flawed). But is it possible that the pursuit of new goals, dreams, and aspirations, of new realities, welcomes new songs and new affinities for them? Perhaps it's not so much about the fact that some people give up on listening to new music but more about conceding to one version of reality, however comfortable it might seem. Brian Fauteux is Assistant Professor in Popular Music and Media Studies at the University of Alberta. My poptimism started early. Or, in reflecting on established expectations, I failed to â€œgrow outâ€� of my poptimism as I aged through adolescence and into adulthood. Instead, I made a vocation out of it, devoting my time to advocating for the most popular, to critiquing and drawing attention to that which has the widest cultural influence, and using my platform to make sense of why it matters. I donâ€™t know where the cassette came from, or how I, in particular, acquired it, but I have strong memories of being in my childhood bedroom, probably about eight years old, listening to the Wilson Phillipâ€™s eponymous album on repeat. I played it on my dadâ€™s Sony Walkman; one of the original versions made out of metal, chosen for its capacity as a skiing companion for my dad. My parents put tape over the volume knob so I wouldnâ€™t wreck my hearing. But I found a way around that tape, and look whoâ€™s laughing now. This was before Spice Girls. Before I knew anything about 60s Girl Groups. And definitely before Destinyâ€™s Child and BeyoncÃ©. But it was through the all-girl trio, the Wilson Phillips, that I discovered the strength of womenâ€™s voices, even in their breathiness, and the power of pop music. Not that those are intrinsically connected categories â€“ the pop and the feminine â€“ but nonetheless they guided my early tastes in music, and how I came to understand pop music as industry. I only remember having two cassettes at this stage in my musical development: the Wilson Phillips (1990) one, and Paul Simonâ€™s Graceland (1986). As diverse as these albums are, that diversity itself remains a part of my eclecticism in both my tastes, and research interests. From the Wilson Phillips I found my first inklings of feminist thought. And from Paul Simon I first experienced the intrigue of intercultural music making. I was captivated primarily by the songs that feature Ladysmith Black Mambazo, with sound aesthetics quite foreign to me as someone growing up in a small town on the West Coast of Canada. I continue to lecture on the issues of cultural appropriation vs. appreciation that have plagued Graceland, and others, and how these songs relate to wider systems of power that I was not yet attuned to as a child. Through IASPM, I had the opportunity to visit South Africa in 2011, and see the lasting effects of Apartheid in person. For many people, the Wilson Philips are a one-hit wonder, a group to feel nostalgic about when you watch Bridesmaidsï»¿. Although I came to know the girl group before the music of their famous parents, others may consider them a product of celebrity nepotism, and trivialise them as such. The group is not so easy to write-off, though, as they also learned great songwriting from their respective parents â€“ Brian Wilson of the Beach Boys and John and Michelle Phillips of the Mamas and Papas â€“ and honed those skills into early 90s pop excellence. With a little help from Glen Ballard. A timely blend of tight harmonies, soaring synth, and hints of adult contemporary rock, a term that seemed to die with the 90s, only to be rejuvenated (in spirit) once those 90s children became â€œMillennialâ€� adults. As those at the upper end of that contested Millennial generation, myself included, will no doubt have noticed â€“ the sounds that epitomize the Wilson Phillips are re-emerging. With groups like HAIM, the retro-early-90s WP vibes are undeniable: close sisterly harmonies, light rock, and punchy electro beats that sounds like the entire thing is overlaid with a glossy Instagram filter. Other music critics have picked up on this as well, which you can find here and here. Itâ€™s difficult to know whether HAIM came to these sounds on their own, or as influenced by the listening practices of their family. Regardless, it points to the reality that, as youth we often want to distance ourselves from the music of our parents, but HAIM are a great example of what happens when you embrace the familiar and the familial, repurposing it for a new generation. At the same time, the fact that these sounds are now â€œretro,â€� fills me with a great sense of existential anxiety. Once the cyclical nature of pop culture comes full circle, does that signal the close of oneâ€™s youth? I wonder what happens once you see that circle close the second, and even third, time. The postmodern cycle of pop is speeding up, as the long tail is coming into full effect. The postdigital era of pop is upon us, and retro is quickly becoming meaningless. Itâ€™s not only the sounds that have re-emerged. The cultural issues surrounding that album have only become amplified in recent years. As a child spending ample time reading and re-reading the cassette leaflet, I admired the diversity of female body representation afforded in even those three women. Yes, they were all attractive, white, women of a particular level of privilege â€“ but at the same time it was rare to see a plus size woman achieve a high degree of success in pop music. I identified with Carnie Wilson, and looked to her as an example of succeeding in spite of hegemonic conventions. While the concept of intersectional feminism existed much earlier, it was only a year before Wilson Phillips that the term was coined by KimberlÃ© Crenshaw. More recently, the ideas surrounding intersectionality have expanded to account for issues of body positivity. Itâ€™s a bit problematic to connect the girl group to intersectional feminism in this way, as their whiteness is counter to the original aims of the term. But it draws attention to current trends whereby young artists are challenging issues of representation, not only in terms of body size, but also traditional expectations of gender performance. For many, the 90s, as re-imagined in 2018, is also a throwback to gender neutrality, through a non-binary lens, in a way that is simultaneously political and laissez-faire. In writing this piece, I was a bit disheartened to see that the Wilson Phillipsâ€™ fan engagement is something that has not translated well to current practices. In an era where impact is measured in likes and followers, the group is pretty low-stakes with just under 14k Twitter followers. But in discovering Carnie Wilsonâ€™s Instagram page, I found new inspirations for body positivity. Her feed is full of no-makeup selfies. Not the typical GenZ influencer ones, with their unmasked youthfulness, but those of a strong woman navigating an ageing female body. Her visibility is striking, and her positivity inspiring. I continue to embrace and love pop music. I share my passion with my students and beyond, as we use it as a vehicle for exploring cultural issues, and self-reflecting on the construction of subjectivities. Itâ€™s never just about the music, but the music is that important mediating moment for nostalgia, identity, sociability, and embodiment. Melissa Avdeeff is a Senior Lecturer in Communication, Culture, and Media at Coventry University. Follow her at @avdeeff. Welcome to the new Auto-Musicologies series! Our first entry is "Learning to Listen: From the Car Stereo to the Soundscape" by Vincent Andrisani. Every night after work, my colleagues and I used to hang out in one of our cars, taking turns spinning whatever we were listening to at the time. Work was Drummerâ€™s Choice, a drum store in Brampton, Ontario, where I taught private lessons from 2006 to 2009. My colleagues were in fact not just colleagues, they were some of my closest friends with whom I endlessly talked about music and drums and drums and music. I loved these post-work car hangs. They were leisure and intellectual exploration all rolled into one. Naturally, I was quite sad they came to an end (for me, anyhow) when I moved from Toronto to Vancouver in the summer of 2009, but I still carry these memories with me. In fact, as I think back on them years later, I realize that these shared moments were more than just a nightly routine: they played an integral role in shaping my career as a sound studies researcher. During these listening sessions, I was introduced to music that has since become part of my desert island playlist. But just as important as what we listened to was how we listened to it. Through the ears of my friends, I learned to hear the subtleties of performance and production. I learned to listen to the elements that make a recording what it is. I quite literally learned to listen to music. I remember one evening, I think it was in 2003, my friend Mike Taylor brought a new release by Josh Rouse, a singer/songwriter from Nebraska. He said â€œman, you gotta check this album outâ€�. It was called â€œ1972â€� and the CD cover was yellow, orange and brown. A fitting colour scheme, I thought. We began by listening to the first few tunes, which eventually became the entire album. Mike and I are not old enough to have lived through the 1970s, but we both knew the album convincingly captured the eraâ€™s sound. Drawing inspiration from troubadours like James Taylor, Carole King, and Paul Simon, Josh Rouse narrates the life of a troubled, small-town adolescent in the 1970s. But just as important as its retro theme and its somewhat relatable plot is that â€œ1972â€� is, above all, a collection of really thoughtful, well-crafted pop songs. 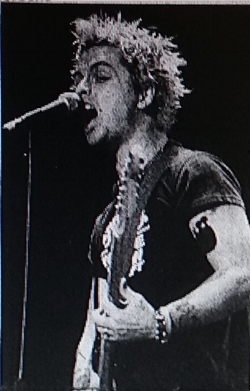 While listening to the title track, Mike said â€œcheck this shaker part outâ€� as he pointed toward one of the speakers. It was low in the mix and panned to the right stereo channel; a barely audible, inconspicuous part of the second verse. But once I heard it, everything clicked. In this straightforward 16th note shaker part, I heard the depth and intelligence of the composition, which brought my experience of it to life. It was a moment I will never forget. Turning my attention toward the subtlest parts of a composition was something I began to do often. Like a detective, I would â€œlookâ€� (pardon the visual metaphor) for the sounds that might otherwise escape my attention. And in so doing, I realized that the essence of a composition lives not in the foreground, but in the backgroundâ€”in the intangibles that lurk beneath the surface. But in order to hear them, I had to train my ears to live in the nooks and crannies of a recording. I was inspired by the idea of locating particular musical voicings and relating them to the whole of a composition. So, I began to wonder, what would happen if I turned this approach to musical listening on everyday life? What sort of encounters could I create if I could isolate discrete environmental sounds and consider their relationship to the whole of the soundscape? In an instant (though not quite an instant since it took years before I put it into practice and even more before I could put it into words), my soundscape methodology was born. Soundscape studies is a field of study that investigates the sounds of everyday life. It asks questions not only about the relationship between sound and space, but it also explores the act of listening and its role as an integral, though often overlooked cultural practice. As a soundscape researcher, my methodology consists of note taking, conducting interviews, field recording, and of course, attentive listening. But what exactly is attentive listening and how do we qualify it as a methodological technique? Put simply, attentive listening is a reciprocal mode of inquiry that uses sound to ask questions, while at the same time asking questions about sound. Composer, educator, and soundscape studies pioneer R. Murray Schafer (1993) famously argued that we should â€œtreat the world as a macrocosmic musical compositionâ€� (p. 5). One would be hard pressed to find a more romantic idea. However, listening to the acoustic environment as we might listen to music is not only strategic, but Iâ€™d argue itâ€™s also a necessary part of conducting critical soundscape research. I put this form of listening to work in a project that I carried out in (and on) the city Havana, Cuba that I began in 2012. One of the more musical geographies in the Americas, Havana is a city in which I had the fortune of studying music as both a performer and as an anthropologist. But the sounds of the city are in no way limited to music alone. Havanaâ€™s neighbourhoods are animated by an extroverted street culture, making soundscape studies a fertile approach for conducting urban research. While in Havana, I listened in ways that encouraged me to sift through discrete sounds, moving from one to the next. At one moment I found myself attending to the rhythms of the traffic outside my apartment. At another I would tune in to the excitable chatter of children playing in the streets. And at another still, I would find myself captivated by the melodic cry of a street vendor as it reverberated through the spaces of the neighbourhood. Without knowing it at the time, I was enacting a form of musical listening. I focused intently on each sound and asked how it fits within the whole of the soundscape, much like I did for musical voicings in the broader context of a recording. This led me on a series of intellectual journeys that offered new, and as yet untold stories about Havana. I explored the history of ice cream vending in the city, the development and decay of the cityâ€™s water supply infrastructure, and the present-day tourist economyâ€”all through the study of sound and listening. As I continue to reflect on this project, I can confidently say that I could not have developed it without my musical curiosity. Hearing nuance, detail, and depth, and finding its place amidst the whole of the composition or soundscape has become part of my approach as both a musical listener and an everyday listener alike. And as I think back about how and where I first learned to approach sound in this way, I realize that itâ€™s at least in part a result of the time I spent with my friends in the car on those evenings after work. Iâ€™d like to thank all of my friends from Drummerâ€™s Choice (1993-2015), a store that meant so much to everyone who walked through its doors. In particular, I want to thank Joe Iannuzzi for digging into his archive and allowing me to use these photos. At the time, we thought nothing of the media Joe captured. Today, there couldnâ€™t be a more fitting way to remember the store. Vincent Andrisani, PhD, is a term lecturer in Simon Fraser Universityâ€™s School of Communication. Using the everyday sounds of the city, Vincentâ€™s research explores alternative approaches to urban development through the themes of resilience, informality, and community.